* Dinosaur notepads are great for school field trips. Students will love to make notes about their paleontological discoveries. 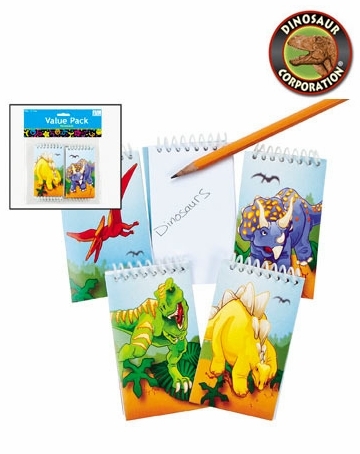 * Dinosaur Notepads are featuring Jurassic World dinosaurs T-rex, Stegosaurus, Pteranodon and Triceratops.